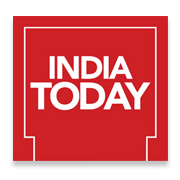 New Delhi : The India Today Group announces the third edition of the India Today Safaigiri Awards and Singathon, a platform that will showcase and felicitate the pioneering efforts of those who are leading the change in cleanliness. This is in continuation to the launch of 1st edition in 2015. The event will be held October 2nd, on the third anniversary of the Swachh Bharat Abhiyan launch and the birth anniversary of Mahatma Gandhi. This year the theme around which the campaign is focused on “Gandgi Dehan Safaigiri ke Sang” which aims to demolish one the major evils that our nation is facing today and honouring the clean champions of the nation. India Today Safaigiri Awards & Singathon will be a day-long event and will get musicians together to celebrate the Safaigiri movement. The biggest names in the music fraternity will join hands to spread the message of Safaigiri. Bollywood actor Bhumi Pednekar will be presenting awards to women champions who have made Swachhata hi Seva their message. This special category of awards has been introduced this year in keeping with Prime Minister Narendra Modi’s message to observe September 15 to October 2 as Swachhata hi Seva fortnight. The focus is on women because if you teach a woman, you teach a generation. Vice President M Venkaiah Naidu will be presenting awards to 16 cleanliness champions selected by a process which involves shortlisting by Nielsen and selection by an eminent jury. The event will have singers performing throughout the day. The singers attending the day-long event include – Ankit Tiwari, Armaan Malik, Jasleen Royal, Amit Mishra, Shashaa Tirupati, Tulsi Kumar, Nakash Aziz and Mohit Chauhan’. India Today Safaigiri Awards and Singathon is a key initiative of the Group’s efforts in realising the vision of Swachh Bharat and in recognising Clean Champions across the country. The Clean Champions are selected in 16 categories through a process of fieldwork and selection by a jury of eminent citizens. The jury members are Mr. Aroon Purie, Chairman and Editor-in-Chief, India Today Group; Mr. Shashi Tharoor, MP; Ms. Neerja Birla, Founder and Chairperson, Aditya Birla Education Trust; Mr T.V Mohandas Pai, Chairman, Global Manipal Education; Mr.Vinayak Chatterjee, Chairman, Feedback Infra; Mr. Shubhagato Dasgupta, Senior Fellow, Centre for Policy Research & Bollywood actor Shilpa Shetty. The awards will be given in different categories such as Garbage Guru, Toilet Titan, Tech Icon, Water Saviour, Corporate Trailblazer and Cleanest Religious Place. The India Today Group has already started the war for cleanliness in a unique style at Ram Lila ground this year. Dirt/Filth, the major concern of the country was offered to fire in the form of Ravana this time.